New Zealand is an extremely popular country among travelers and migrants, it offers a various types of visas based on your requirement, be it for work, study, invest or just a pleasure trip with your family and friends. Deciding, which visa to choose, while migrating to New Zealand is an extremely important decision for you and your family. New Zealand offers a range of visas; you need to select the right type of visa based on your travel requirement. You may be not be eligible under all types of visas, it is recommended that you take the right guidance from an expert like MoreVisas, who have with them expert consultants, who are specialized in providing appropriate guidance for all types of New Zealand visas. 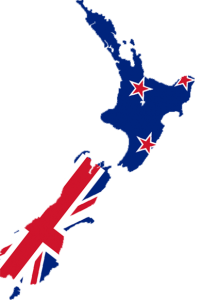 New Zealand is an immigrant friendly country and provides a plethora of opportunities for job seekers and immigrants. Your success in securing a New Zealand visa depends of various factors such as having a valid job offer from New Zealand employer or a proper invite if you are travelling to New Zealand. At MoreVisas, we help you plan your visa application for New Zealand and also assist you with the documentation process. It is extremely crucial that you choose the right consultant for your New Zealand Visa. We also help you determine if you qualify for a particular visa, we analyze your skills against the NZ Immigrations’ essential skills shortage lists. On our website, you can find information about the various types of New Zealand visas that are in demand. You can find answers to questions that you always wanted to know.